It's 1959. The battle for civil rights is raging. And it's Sarah Dunbar's first day of school, as one of the first black students at the previously all-white Jefferson High. No one wants Sarah there. Not the Governor. Not the teachers. And certainly not the students – especially Linda Hairston, daughter of the town’s most ardent segregationist. Sarah and Linda have every reason to despise each other. But as a school project forces them to spend time together, the less their differences seem to matter. And Sarah and Linda start to feel something they've never felt before. Something they're both determined ignore. Because it's one thing to be frightened by the world around you - and another thing altogether when you're terrified of what you feel inside. Tatum read Lies We Tell Ourselves back in the autumn, and I had been wanting to read it for the longest time. I love historical fiction, and the Civil Rights Movement isn’t a topic that I’ve touched upon in fiction before, so I was very excited to read this book. Not to mention it’s also LGBT and the two main female characters fall in love. 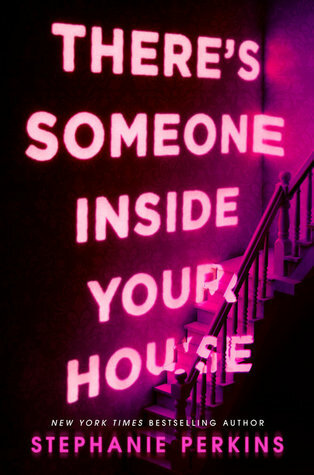 I absolutely devoured this book, as I knew that I would! 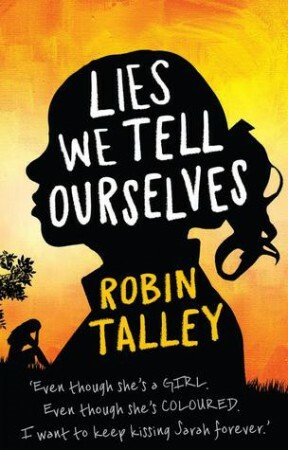 Lies We Tell Ourselves alternates between two points of view: Sarah, a black girl who is one of the first students in Virginia to join a previously all-white school, and Linda, one of the white students whose father is aggressively against desegregation. The perspectives are very different, of course, but I very much enjoyed (as much as you can enjoy such a book) reading both Sarah and Linda’s chapters. I wasn’t expecting to like Linda as much as I did, considering she is racist and bullies Sarah, at least in the beginning. I was shocked to discover that I really did like her, both as a person and as a character, and that had a lot to do with her home life, I think. Her father is a supporter of segregation, and it’s clear that he has abused and brainwashed his daughter. Not to mention that Linda desperately wants to impress her father, and so she often adopts his point of view without questioning it. This, I think, is a huge issue with a lot of children and teenagers. They spend so much time with their parents and haven’t yet experienced much of the outside world that they are often told what they should think. So I got it. And I loved Linda so much because she slowly starts to realise that those opinions and her actions are wrong, and it’s the best character progression ever. Sarah absolutely broke my heart, and I kind of hated reading her chapters at some points because she was treated so horribly in her new school. It was uncomfortable and disturbing, and it made my skin crawl when I thought about how many black people were (and still are) treated so much worse than Sarah and her friends were. Sarah’s character progression is more subtle than Linda’s, but it is still just as important and it captivated me. The love story between Sarah and Linda was wonderful and subtle and yet still in your face enough that you didn’t forget who these characters were and how they were feeling. It felt totally natural, and it brought a brilliant edge to an already fantastically heartfelt story. I was quite surprised when I didn’t cry while reading Lies We Tell Ourselves, because we all know how I am with the crying thing. My tear ducts are broken, I swear. I managed to hold back the tears when I finished the book at work, but I was thinking about it all afternoon and was struggling to focus on my work (don’t tell anyone). Lies We Tell Ourselves is one of those books that stick with you for a long time after you put them down. I want Robin Talley to write LGBT historical fiction forever because she’s certainly talented, and the amount of research that went into this story is impressive. Definitely pick this up next time you’re in the mood for a great, emotional read. I am glad you liked this one. I have been wanting to read it for a while. I need to break down and finally read it! I got it from the library just now!